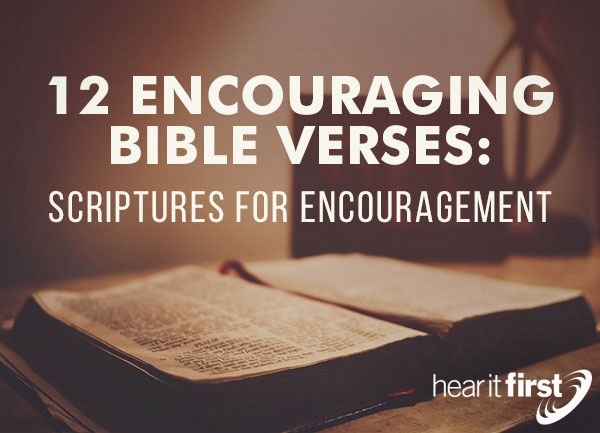 Here are twelve very encouraging Bible verses. The more brokenhearted you are, the nearer you are to God. Anyone that’s crushed in spirit has come to an end of themselves. When you come to the end of your rope, the Lord is there waiting for you. He’s near to the broken and crushed in spirit, because grace, like water, seeks the lowest level. Feeling brokenhearted? The “Lord is near to” you. The Book of Romans was a theological masterpiece, but of course, the Apostle Paul wrote it under the inspiration of the Holy Spirit so it glorifies God, not Paul, but what a fitting way to end the book by encouraging the church at Rome; a church that had undergone severe persecution. This is why it was Paul’s prayer that they be filled “with all joy and peace in believing” so that “the power of the Holy Spirit [may] abound in hope” in them. They were going to need God’s Spirit in order to endure, but to also abound in hope” for that coming great Day (Rev 21:1-5). These two Bible verses are not only encouraging, they are a very good question to ask someone who doesn’t believe in life after death. These two verses are placed in the context of Jesus raising Lazarus from the dead, and so Jesus asked Martha, Lazarus’ sister, “Do you believe this?” A person’s eternal destiny depends on how they answer that question. I wonder if I took a poll, how many would feel “heavy laden” right now? I have areas in my life where I know I’m still carrying things around that I shouldn’t be, and that makes for hard labor. I can find no rest in that, however, if I go to Jesus, He says “I will give you rest,” and perhaps rest is what we need from trying to carry our own heavy loads around. If Paul was trying to convince the Roman church that nothing can keep them from being with God someday, this chapter would be it! What assurance that nothing in life, not even death, no angels (probably fallen ones), earthy rulers, or what’s happened in the past, is happening now, or will happen in the future, can ever keep you away from being with God (Rev 21:3; 21:4)! No power, not height, no depth, and to seal the deal; how about anything “in all creation!” That covers it, doesn’t it? Being a father (and grandfather), this verse has more meaning to me than it used to before I was married. I know what it feels like to have compassion on a crying child of mine. I knew they were just children, somewhat fragile, and their feelings were easily hurt. God knows that about us too, but He is tender with us because He knows “we are dust” and “knows our frame” isn’t very sturdy. That’s how our heavenly Father cares for us…infinitely more than any earthly father would. Have you heard the saying about being justified? It’s “Just as if I’d never sinned.” That may be true once a person is saved, but it’s certainly not true that we never sinned. It might be like that now, but our sins left marks on Jesus body. Jesus had scars, pierced hands and feet, and marks where the crown of thrones was placed, so it’s not “just as if” it never happened to Jesus! This is the only reason we have the peace of God because we’re at peace with God through Jesus Christ. Did you notice the number of references given from Romans chapter 8? This is no coincidence, because this chapter has what some call, “the golden chain.” This refers to Romans 8:28-30 which says for those “who love God all things work together for good, for those who are called according to his purpose. For those whom he foreknew he also predestined to be conformed to the image of his Son, in order that he might be the firstborn among many brothers. And those whom he predestined he also called, and those whom he called he also justified, and those whom he justified he also glorified.” Notice it’s all about “He” and not about me…or you. That gives God 100% of the glory for our salvation, as it should be. In fact, we can’t even come to Christ unless the Father draws us (John 6:44). If you’re a child of God, rejoice! Be encouraged. He’s going to bring you into glory someday (Rom 8:18).